The room became full with that benediction. Now what followed is almost impossible to put down into words; words are such dead things, with definite set meaning and what took place was beyond all words and description. It was the centre of all creation; it was a purifying seriousness that cleansed the brain of every thought and feeling; its seriousness was as lightning which destroys and burns up; the profundity of it was not measurable, it was there immovable, impenetrable, a solidity that was light as the heavens. It was in the eyes, in the breath. It was in the eyes and the eyes could see. The eyes that saw, that looked were wholly different from the eyes of the organ and yet they were the same eyes. There was only seeing, the eyes that saw beyond time-space. There was impenetrable dignity and a peace that was the essence of all movement, action. No virtue touched it for it was beyond all virtue and the sanctions of man. There was love that was utterly perishable and so it had the delicacy of all new things, vulnerable, destructible and yet it was beyond all this. It was there imperishable, unnameable, the unknowing. No thought could ever penetrate it; no action could touch it. It was “pure”, untouched and so ever dyingly beautiful. All this seemed to affect the brain; it was not as it was before. (Thought is such a trivial thing, necessary but trivial.) Because of it, relationship seems to have changed. As a terrific storm, a destructive earthquake gives a new course to the rivers, changes the landscape, digs deep into the earth, so it has levelled the contours of thought, changed the shape of the heart. It was coming upon such clearly authentic writings about the inescapable presence of the Unknowable that led me to Brockwood Park, the school Krishnamurti founded in Hampshire, England. I was a teacher and I found my perfect niche in this unbelievably rich and stimulating environment, where students are guided towards both academic excellence in their studies and deep inquiry into the workings of their thinking. I would like to use your quote “Yes. It is exactly so: the shape of the heart is changed. And there is no way back.” in a piece I’m writing to the theme of “heart” for a small email newsletter from my first non-dual teacher’s group. May I have permission? Of course Amrita. Thank you for asking. Tell me more about your “non-dual teacher’s group”!?! Yes, pure poetry, an absolutely stunning expression of the indescribable. Thank you for sharing this most intimate moment from Krishnamurti. It touches me deeply. Thank you for your beautiful comment dear Shanti – I’m beyond happy to know that K’s words touched you so deeply. I revisit his words after all these years and realise how fortunate I was to have such a teacher. Uncompromising. Ruthlessly clear. “ever dyingly beautiful” – Perfection. In this world of transient things. I have known the passing pleasures thereof. I lost myself in the fleeting. Dear Hariod – thank you for these beautiful lines. I’m curious to know who this “J.K.” might be, as I’m not aware of a poem or book by J Krishnamurti called ‘The Search’, and it’s not really his style. Mind you I’m not a librarian! J.K. Rowling? J.K. the rapper? Or…? In the days of my liberation. For in me are many winters and many springs. In the ocean of liberation. Into the world of liberation. This is the end I have known. Thank you Hariod – I am delighted to know about this publication. I can’t remember it being in the library at Brockwood Park when I was there. As you may know, in later years K became so averse to being seen as a mystic or guru, or someone to ‘follow’, that he was reticent about his early writings. Yet for me, it was this poetic writing that was, and continues to be, so deeply resonant. Thanks for leaving an appreciative comment @67paintings. 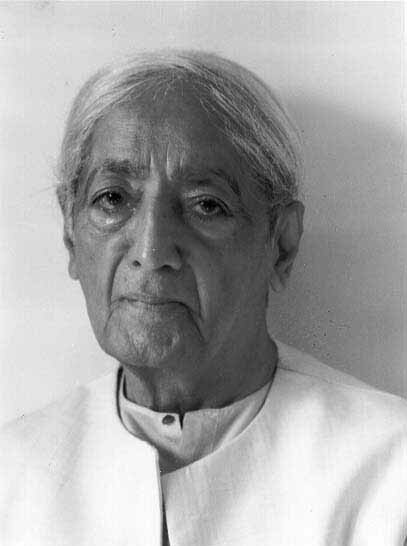 I share your sense of “walking in Krishnamurti’s garden” – and your poem is very beautiful. I’m looking forward to exploring your blog! Reblogged this on Gathering of Wisdom.